Obituary for Peggy (Manson) Allen | Wellman Funeral Homes, Inc.
Peggy Mae Allen, 70, of Chillicothe passed away on September 9, 2018. She was born on August 22, 1948 in Chillicothe to Lawrence and Delores (Daily) Manson. 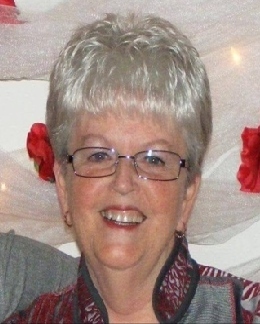 She retired from Homeland (Mead) Credit Union, attended Laurelville Church of God, was associated with Great Scioto Valley Emmaus Community and was a 1966 graduate of Southeastern High School. She was preceded in death by her parents, siblings Sue and Jack Manson. Peggy is survived by her husband Terry Allen, sons Todd (Amy) and Michael (Desteny) Allen, grandchildren Mia, Barry (Bailey), Brooklyn, Rece and Gavyn, great grandchildren Addy and Beckett, brother Richard (Karen) Manson; sister-in-law, Shirley Manson and several nieces and nephews. Funeral services will be held on Saturday, September 15, 2018 at 10:00 a.m. at the Laurelville Church of God, Laurelville with burial to follow in Londonderry Cemetery. Friends may call at the church on Friday from 2-8 p.m. Memorial contributions are suggested to Laurelville Church of God Building Fund. Online condolences can be made to www.wellmanfuneralhomes.com.